Castle Hill is a late 11th or mid 12th century earthwork motte and bailey fortress, founded by Ansgot of Burwell or Ralph de la Haye. The circular flat-topped motte, stands in the north-eastern part of a roughly circular bailey enclosure. The bailey which is divided in two wards by a broad east to west ditch, is encased by a steep sided partly wet ditch, with a counterscarp bank. 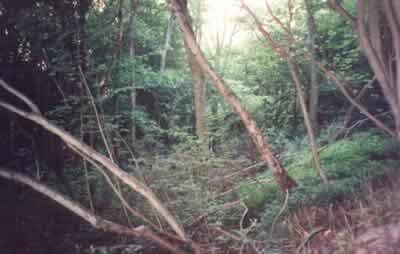 The site now stands in woodland and the dense cover of trees, makes the layout hard to observe. 2 miles south-east at Withern is Castle Hill and at Tothill is Toot Hill. Castle Hill is located west of Castle Carlton, off the A157. 6 miles south-east of Louth, on the A157. The site is visible from a public footpath, which passes the castle from the road.